One click to the new releases on Past Lives, Barnes and Noble. Amazon Synopsis: The incredible true story of one woman's search, discovering her past life with John Lennon in 17th Century England. Amazon Synopsis: Is it possible that people living today died in the Holocaust? Rabbi Yonassan Gershom presents compelling evidence that supports this seemingly impossible phenomenon. Based on the stories of people he counselled, the author sheds new light on the subject of reincarnation and the divinity of the human soul. In addition to the fascinating case histories, Rabbi Gershom includes information on Jewish teachings regarding the afterlife, karmic healing, and prophecies. From the Authors: Is there a human Spirit? Does it exist after death? Where was Spirit before birth? Since the dawn of time humanity has pondered the question of it's own mortality. What domain do we go to after death? The authenticated accounts in 'THE CHILDREN THAT TIME FORGOT' stirred up a lot of questions and debates when it was first published. on her bed cover. The littler baby's actions seemed so quirky and amusing that Mary was prompted to have a letter published in Woman's Own. Amazon Synopsis: A pioneer in uncovering the secrets of life, internationally recognized spiritual hypnotherapist Dr. Michael Newton takes you once again into the heart of the spirit world. His groundbreaking research was first published in the bestselling Journey of Souls, the definitive study on the afterlife. Now, in Destiny of Souls, the saga continues with 70 case histories of real people who were regressed into their lives between lives. Dr. Newton answers the requests of the thousands of readers of the first book who wanted more details about various aspects of life on the other side. Destiny of Souls is also designed for the enjoyment of first-time readers who haven't read Journey of Souls. Amazon Synopsis: The late Edgar Cayce's groundbreaking psychic work in nutrition, health, religion, ESP--and reincarnation--have made him the most respected clairvoyant of our time. Compiled from 2,500 of his extraordinary readings, this illuminating book unveils the reality of rebirth. Here are accounts of people who have lived before and remarkable evidence of a timeless, unifying force that pervades the universe. Synopsis: The Edgar Cayce readings contain many past life readings done for individuals, and readings on reincarnation. Mary Ann Woodward, with the concepts and examples found in these readings shows us how karma from past lives can affect us in our present lifetime. Contents: Foreword, Introduction, Meeting Self, Stumbling Block and Stepping-Stones, Physical Karma, Memory: Out Good Karma – Talents, Careers, Vocational Aptitudes; Family Relationships, Group Karma, The Return, Appendix: The Philosophy of Reincarnation. Amazon Synopsis: This powerful New Age guide allows the reader to enter an extraordinary experience--the presence of previous incarnations. Based on the Sleeping Prophet's words, past life experiences can be used to benefit present life. Amazon Synopsis: Well endorsed, The Journey Within” states on the back cover, Your past-life memories are closer to you than you may realize,and many exciting discoveries are being made in the search for these timeless memories. One exiting discovery is coming from a unique form of hypnosis, regression, which is proving to be an excellent tool for uncovering past-life memories. This is the story of research hypnotist Henry Bolduc's twenty-five years of studying and practicing hypnosis. We get to share in the unfolding of a fascinating exploration into the human mind. A good portion of the book is devoted to the development of channelling in two individuals who were able to repeat the Cayce Effect”- channeling information as the great North American Mystic Edgar Cayce did. These sessions are documented with profound readings” as Edgar Cayce referred. Included are Channeling guidelines for those new to the concept. Amazon Synopsis: Jewelle St. James has spent several years exploring her past incarnations. Jude is a succinct and compelling tale of one woman's journey, discovering her past life as a young Jewish woman, in Auschwitz, 1944. The author's true story is tied to her present life, as well as her past life in 17th Century England. The interconnections and synchronicities are fascinating. Amazon Synopsis: Decisions, actions, and beliefs from our past can have a powerful influence on our present life. This audio cassette discusses how to release the effects of trauma from childhood and past life, as well as spiritual ways to undo the effect of self-destructive behaviour such as smoking cigarettes or taking drugs. Doreen discusses methods that allow listeners to release cellular memories. Amazon Synopsis: The author begins with Cayce's first incarnation in the time before Adam, moving on to incarnations in Atlantis, then as a high priest in Egypt, a nomadic ruler in Persia, and a number of New World incarnations -- a total of seventeen chronicled lifetimes. Anecdotes from Cayce's modern life are interwoven, creating the most compelling narrative of successive incarnations ever published. Amazon Synopsis: As a traditional psychotherapist, Dr. Brian Weiss was astonished and skeptical when one of his patients began recalling past-life traumas that seemed to hold the key to her recurring nightmares and anxiety attacks. His skepticism was eroded, however, when she began to channel messages from the "space between lives," which contained remarkable revelations about Dr. Weiss' family and his dead son. Using past-life therapy, he was able to cure the patient and embark on a new, more meaningful phase of his own career. All across the globe, small children spontaneously speak of previous lives, beg to be taken "home," pine for mothers and husbands and mistresses from another life, and know things that there seems to be no normal way for them to know. From the moment these children can talk, they speak of people and events from the past -- not vague stories of centuries ago, but details of specific, identifiable individuals who may have died just months, weeks, or even hours before the birth of the child in question. For thirty-seven years, Dr. Ian Stevenson has traveled the world from Lebanon to suburban Virginia investigating and documenting more than two thousand of these past life memory cases. Now, his essentially unknown work is being brought to the mainstream by Tom Shroder, the first journalist to have the privilege of accompanying Dr. Stevenson in his fieldwork. Shroder follows Stevenson into the lives of children and families touched by this phenomenon, changing from skeptic to believer as he comes face-to-face with concrete evidence he cannot discount in this spellbinding and true story. Amazon Synopsis: Working as a journalist for metaphysical publications for more than three decades, author Roy Stemman has investigated the most heralded occurrences of reincarnation. In One Soul, Many Lives, he brings together an impressive body of physical evidence and a fascinating collection of accounts he has gathered from interviewing people all over the world. In case after case, One Soul, Many Lives engages the reader with the remarkable story of someone who believes he has lived before. In addition to testimony by reputable and trustworthy individuals, One Soul, Many Lives draws heavily on the work of eminent scientists to authenticate its compelling stories. The evidence supporting the stories includes a young boy with scars on his head that precisely match the autopsy of the murdered man he believes he was in a former life; individuals whose illnesses and phobias can be traced back to a past life and healed; and people who can speak a foreign language fluently during regression. Amazon Synopsis: Who were you? Containing over a hundred first-hand accounts, Past Lives is an insightful exploration of reincarnation that questions the very framework of Western science. Amazon Synopsis: The one expert millions of readers have learned to trust, one of the few psychics instantly recognizable to television viewers, Sylvia Browne is back. She has proven herself, in her fifty years of working as a medium, to be the reigning queen of psychic phenomena. Here is an insightful look at how much of one's present life is informed by one's past lives, and how many health and relationship problems have their roots in unresolved past lives. From unexplained illnesses to bizarre phobias, from irrational anxieties and fears to the choice of partners, each can be traced back to past lives. Even birthmarks and recurring dreams are signs of issues from past lives. Sylvia helps readers recognize where their deep-rooted problems, fears, and hang-ups all began-and how to ultimately resolve them. Jenny Cockell grew up knowing she had lived before. In her first book, the bestselling Across Time and Death, she revealed how she had been haunted by the memories of Mary Sutton, a young Irish woman who had died more than twenty years before Jenny was born. She was compelled to search for the facts and details that eventually confirmed the existence of her past life and led to an emotional reunion with her family. But Jenny Cockell's extraordinary journey doesn't end there. Past Lives, Future Lives tells the continuing story of the psychic experiences that spurred her to investigate not only other past lives but the future -- as far ahead as the twenty-third century. Her amazingly detailed glimpses of the future are more than merely personal images; they allow her to formulate an overall view of what the future holds for us all -- including a planet much lower in population, but also safer and more pleasant than the world of today. Past Lives, Future Lives presents a fascinating look at the continuity of past, present, and future. In her honest, warm, and plain-speaking voice, Jenny Cockell writes of the past and the future in a way that is both practical and visionary; she offers inspiration and hope for the world to come. Amazon Synopsis: This is an excellent well described book on the romantic soulmates saga. The research from Mr. Sutphen is how we get together from our past lives to the present incarnation. This is a classic on this field and I do recommend it to have it in the private library. A must for those interested in their past lives loves. Amazon Synopsis: This text examines the theory of reincarnation which has played a part in the religions, myths and folklore of many races and cultures. From Tibetan Buddhists to Hollywood film stars, from Haitian witch-doctors to Tory wives, belief in reincarnation exists, even if the evidence is far from concrete. "Past Lives" details the case history of several British people who believe that they have lived before, examining the methods by which they explore their former existences, probing their beliefs and recounting their stories. Among them, are a man who claims to have stood on the deck of "Victory" and saw Nelson fall, a woman who drowned on the "Titanic", a man who fought in the Crimea and another who claims 247 previous lives. The book also looks into the historical, mythical and religious beginnings of reincarnation, talks to therapists, psychologists and laymen about their use of regression therapy, and examines all aspects of the cult of reincarnation. Goodreads Synopsis: Reliving Past Lives introduced the entire world to the concept of past-life regression. This is the book that revolutionized the fields of psychology and hypnotherapy. Regressing more than 2,000 patients over a ten-year period, psychologist Helen Wambach presents an incontrovertible body of evidence proving the existence of past lives. Subjects as young as five years old recount their past-life experiences as police officers, mathematicians, laborers, and soldiers. Under deep hypnosis, they recall in startling detail the size and shape of ancient coins, clothing items, and eating utensils, and provide immediate sensory descriptions unerring in their historical accuracy--vivid accounts of buildings, food, and geographical phenomena they have never seen before. Amazon Synopsis: First published in 1956, this classic is still fresh for today's New Age audiences. The tale of Bridey Murphy, the Irish woman who spoke through a hypnotized patient, is documented and proven through research. Amazon Synopsis: In The Instruction, Ainslie MacLeod gave readers the tools to identify their soul type and discover their deeper purpose. Now with The Transformation, this gifted psychic brings readers the most critical practice for enabling their spiritual evolution: healing the fears from past lives. "So much of what holds us back from achieving our potential in this life is baggage we are carrying from previous incarnations," teaches Ainslie. In this engrossing investigation of the importance of past-life healing to our growth, he explores: The 10 types of fears that carry over from past live--and how each one contains the seed of its own healing. The three-step method for identifying and transforming your past-life blockages. Reaching "Stage-Four Consciousness"--the next evolutionary step your soul is striving to take. How the human species is clearing out our collective past-life traumas to make way for a global transformation. Ainslie MacLeod's spirit guides suggest that we are standing on the brink of the greatest leap in human consciousness in 55,000 years. For each of us to take an active part in this shift, we must learn how to release the fears our souls have accumulated over many lifetimes, while retaining the essential wisdom that each incarnation has given us. Rich with practical techniques and compelling stories, The Transformation is a fresh examination of one of the most critica--yet often overlooke--elements of spiritual awakening. Amazon Synopsis: Can anyone speak a language he or she has not learned normally, in childhood or later? Claims to have accomplished this are made from time to time, but only rarely do they receive support when carefully examines. In this volume Dr. Stevenson presents detailed reports of two cases taht seem authentic. In a deep hypnotic trance, a man tortured by insomnia recalls a life as a marshal in a western town. A sexually frigid woman remembers a tragic life as a slave girl. A man suffering from an inexplicable fear of heights recalls a violent death from a fall during the Middle Ages. Discover the roots of your present-day problems. They might be deep in your past, in another life. Here is the fascinating approach to problem-solving that is changing peoples' belief in reincarnation, life after death, and immortality with challenging evidence that... You Have Been Here Before. Amazon Synopsis: A person in touch with his or her past lives has discovered one of life's most profoundly rewarding experiences. Contrary to popular belief, the ability to recall past lives does not require special powers or supernatural gifts. As this invaluable book shows, almost anyone with desire and determination can learn to summon memories from previous incarnations. This step-by-step guide will teach you how to open this illuminating window from your past: who you were, when you lived, whom you loved -- and what role it all plays in your present life. You will learn how to call up past-life recollections in meditative states, normal waking states, and in dreams, and how to recognize past-life dreams you may already be having. With such tools as the Resonance Method, the Christos Technique, self-hypnosis and guided meditations, you will soon enter an extraordinary dimension -- a world of endless, fascinating yesterdays and enlightened new tomorrows. "An explicit, step-by-step guide for remembering and exploring past lives . . . Will fascinate." Amazon Synopsis: Do you believe in Reincarnation? Is it Fraud? Possession? Genetic memory? Or ... could it be ... that we have lived before? With the vigor of a true explorer, Brad investigates many exciting and dramatic cases of people who have had past-life memories, or who have suddenly become aware of places, people or events that were previously unfamiliar to them. Manifesting with the Angels: Doreen guides you through a powerful manifestation session called “progression,” in which you and your angels attract the qualities and experiences of your soul’s highest destiny and intentions. Past-Life Regression with the Angels: Doreen leads you through a very gentle and deep past-life regression, in which you recall your life’s purpose and answer other key questions. Karma Releasing: Doreen helps you to release painful conscious and unconscious memories from your past (including past lives) so that you can live free from fears. Healing with the Angels: Many people report receiving healing and higher self-esteem from listening to this guided meditation in which Doreen invokes Archangel Raphael and other healing angels. Amazon Description: In this remarkable audio program, Mira Kelley will guide you through a past-life regression that allows you to experience other lives you have lived, receive emotional and physical healing, discover your life’s purpose, understand your relationships, and receive guidance from your Higher Self. Along the way, Mira demonstrates the extraordinary skills she has shared with the likes of Dr. Wayne W. Dyer and Brian Weiss, M.D. (both of whom have featured her work in their own recent books). Mira also includes a second CD of meditations, which will aid you in discovering how to restore the health and vitality of your body, awakening your beautiful essence, embracing the unconditional love that Source has for you, and recognizing that you truly deserve to express yourself to the fullest. The result is a powerful experience that will help you manifest your best life yet! Amazon Description: Denise Linn has devised a process that can put you in touch with past lives, even if you don't believe in them! The benefits are enormous. The past lives you experience using these potent techniques and guided meditation processes can contribute to healing, self-improvement, and transformation. You can also find out what past lives you shared with the loved ones in your present life. Amazon Description: Whether or not you believe in past lives, there are very real therapeutic benefits from undergoing a past-life regression session. In this enlightening audiocassette, Doreen Virtue, Ph.D., discusses how her clients have healed from phobias, addictions, and mood disorders by recalling their past lives. She also talks about how our past lives give us important clues about the Divine life purpose of our present life. Doreen reminds us that with the help of our guardian angels, we can discern important information about our past lives in a safe and gentle manner. 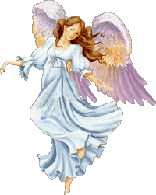 Doreen and your angels also help you to unwind and relax so that your unconscious mind will reveal its ancient secrets. Accompanied by your angels and the beautiful music of Steven Halpern, you'll travel back in time and recover your past-life gifts. Amazon Description: Spiritual Progress through Regression is an extended regression in which Dr. Brian L. Weiss leads you to a childhood experience, in utero memories, and then through a doorway to a previous lifetime. Then through powerful imagery, you’re able to view scenes from even more past lives, each shedding light on your spiritual progress in this life . . . helping you attain peace, understanding, and joy. In the meditation, you’ll be led on a journey to an island of healing with crystal waters and dolphins, providing you with a treasure chest of manifestation, and introducing you to your spiritual guides—helping you gain greater insight into your physical, emotional, and spiritual fulfillment. Description: Presentations from a Past Life ARE Conference on DVD.